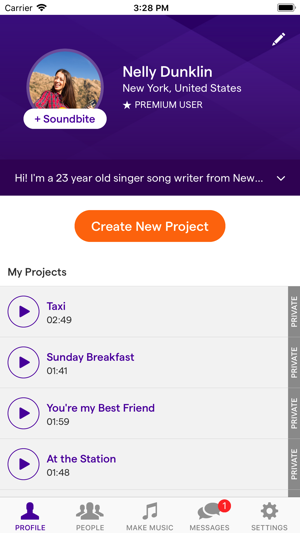 With Soundtrap you can make music and collaborate with others online! Use hundreds of software instruments, thousands of high quality loops, plug in your own instrument or quick-record an idea directly with the mic on your device. 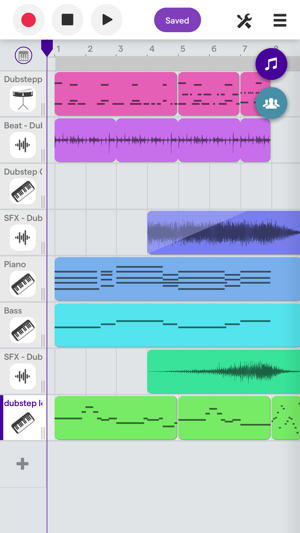 Plug in your own instrument, use the software instruments available in Soundtrap or just record a song directly with a mic on your iOS device. It's super-easy! You can record, edit and collaborate on your songs wherever you are on almost* any device: everything is stored in the cloud! - Create music with a large set of high-quality loops in variety of genres. - Record vocals, electric guitars, acoustic guitars, bass and other instruments. - Use preamps and large number of high-quality guitar, bass and vocal effects. 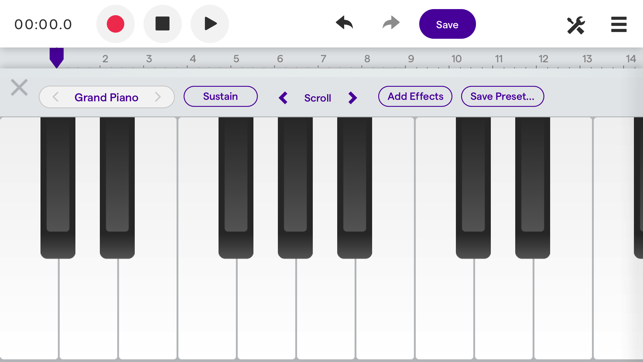 - Play the built-in sampled instruments (piano, organ, synths, drums and more). - Save all your recordings in the cloud for easy access from all devices. 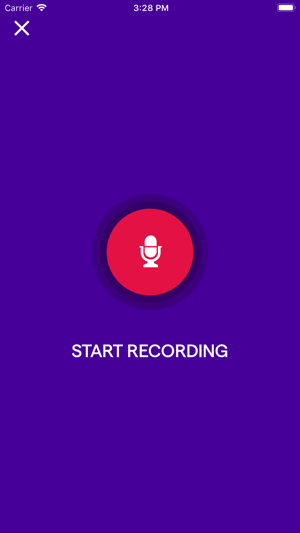 - Invite friends to collaborate on your recordings using text and video chat. - Share your recordings on Facebook, Twitter and Soundcloud. Soundtrap Basic, Premium & Pro Subscriptions. Your account will be charged for renewal within 24-hours prior to the end of the current period at the cost of the chosen package (monthly or yearly). You must be 13 years of age or more to use Soundtrap on your device, please read through Terms of Service at the bottom of the page for more information on age restriction. Need to fix the ios app because when i get on it it flashes the screen and keeps loading. Sometimes it even crashes. It just keeps flashing on and off for a while until i can finally press something. Also, can you add the ability to add the animations in the mobile version so i don't have to use my laptop because its old and the CPU easily gets overloaded with the music? Its probably just a computer problem and not the actual software. I love that I can, at any place, at any time, as long as I have WiFi... instead of taking notes I can actually freestyle to a beat. I’m also a web/mobile dev. The future of the OS is the “browser”, and SoundTrap is one of the pioneers leading the way. Besides a few key board shortcuts and advanced engineering + plug-ins (which I can’t do anyways), its in my top 3 of online audio suites. Great pricing, awesome response to feed back, and an all around great product. You can’t go wrong with Soundtrap. I’m advocating for a mass export, or export as “file format”. That would just be too sweet. For now I have no worries and no complaints downloading one by one. If ur like me... I think I have 100 projects and I want to send them to my final mix engineer, it’d be nice to send them all in bulk. I still give 5 stars, I’ve been growing along side them and I will definitely be a product advocate. Cheers, you guys did a great job! 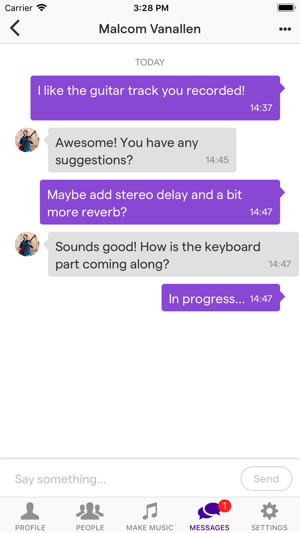 My friend told me this was a great app to get so we could work together on music. I’m not doubting him but in order to do that I need to be actually able to log in without crashing every single time I re-install the app, I’ve re-installed it 3 times now Incase it was a glitch, I’ve figured that it’s just the system. Once I see that this crash is fixed I’ll definitely however give this App Store a five star review with no questions asked because still - this is a very good program, and is helping other artists write there story. Just please, try to fix this system.